The PTS Scheme is a scheme which gives a foreign individual working in Singapore on a P, Q or S Singapore work pass the opportunity to apply for a permanent resident status in Singapore. 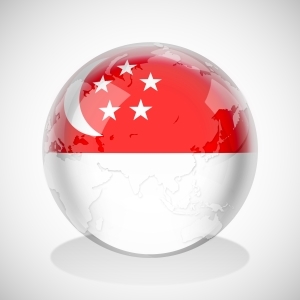 It has long been seen as the easiest route to gaining Singapore permanent residency. However, according to a recent news article, the number of Singapore permanent resident (PR) applications approved under the Professionals, Technical Personnel and Skilled Workers Scheme (PTS Scheme) have plummeted by 58.7% between 2009 and 2010. Deputy Prime Minister and Minister of Home Affairs, Mr. Teo Chee Hean confirmed that only 11,161 PR applications were approved in 2010. In comparison, 27,042 PR applications were approved in 2009. 43% earn at least S$4,000 per month. Additionally, 85% of the successful applicants received their PR status five years after residing in Singapore via the Singapore employment pass, long-term visit pass (LTVP), work pass, dependant’s pass and student pass. Analysis by Rikvin shows that the following three factors – acceptable salary, age and education – are crucial to securing the Singapore permanent residency status and in fact serve Singapore’s human capital and societal needs. For one, having more residents who are diploma or university graduates dovetails with the national strategy to increase the quality of its workforce as they can fill professional-level vacancies and complement the workforce. Secondly, as Singapore has an ageing population, having more residents who are younger means having a more productive and future-ready workforce. In turn, granting young foreign professionals the PR means that they can set up homes in Singapore. This translates to the possibility of building families and mitigating the low birth trend that Singapore has been facing for years. Thirdly, having residents earning more than S$4,000 a month, which was the qualifying salary for a P2 Employment Pass w.e.f 1 July 2011, is consistent with the national aim to attract more high-calibre professionals to Singapore. Furthermore, having a higher salary means having the ability to meet the rising costs of living in Singapore. On a macroscopic level, the ability to meet these requirements mean that applicants have proven that they have the means to reside in Singapore and not fall through society’s cracks. Singapore does not have a dole system and will never be a welfare state. Approving the application of potential residents who can independently earn a living and sustain their livelihood will in turn ensure that Singapore as an economy does not incur unnecessary societal debt. This then ensures a lower societal burden for all and for years to come.